Introduced by Arizer, the newly designed Extreme Q Vaporizer is arguably the most functional Vaporizer available today. 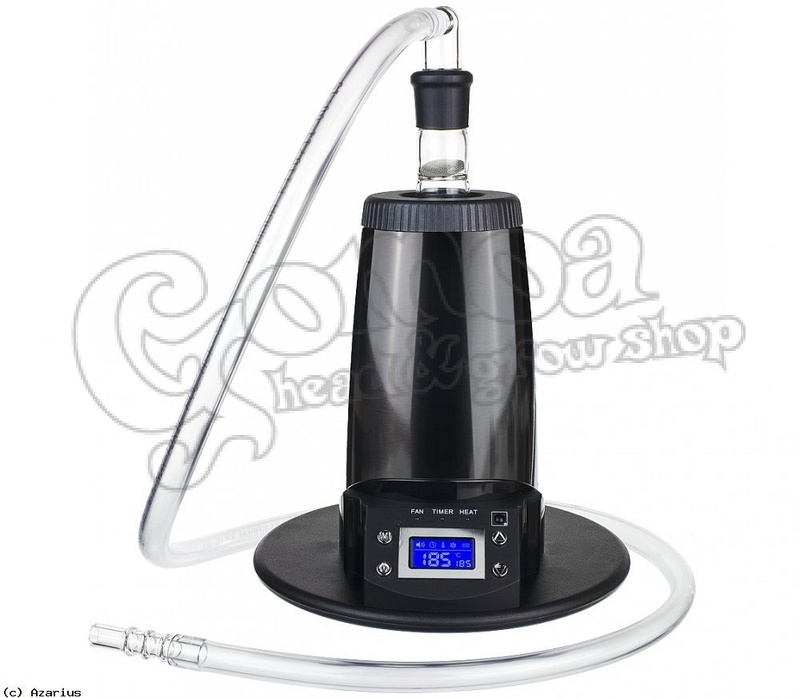 It offers the user the unique ability to enjoy rich and flavorful vapor through a balloon bag or whip attachment. It also employs a digital temperature remote control activation system which automates fan speed (with 3 settings to control density of vapor), temperature and automatic shut-off power settings. This functionality enables the popular Extreme Q Vaporizer to serve as an aromatherapy vaporizer and oil diffuser. The revolutionary Cyclone Bowl stands vertically allowing the air to be distributed evenly and efficiently for full flavor and potency. The ceramic heating element is able to reach vaporizing temperatures within 2 minutes and includes precise temperature control with triple heat sensors. Manufactured in Canada, each unit comes with a Lifetime Warranty that covers any defect related to the heating element. There is also an Auto Shut Off Timer with 2 or 4 hour settings. The Extreme Q has been recently re-designed with a more compact design, new midnight chrome finish, quieter fan and is 50% more energy efficient.